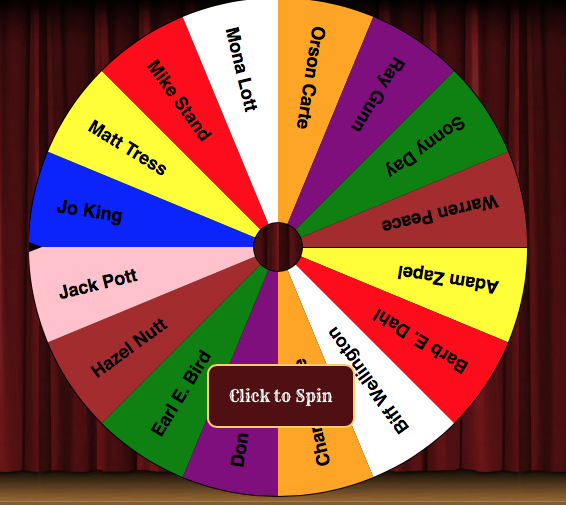 Random Name Picker is a free site that allows the user to place names (or any word) into a list and it will create a virtual wheel to spin. When the wheel has been spun - you can remove the name and that person will not be chosen again. The great part about this site is when you create your list - it will create a unique url to be copied and either embedded into a website, blog, or kept as one of your favorites. It will also work on an iPad - which is always helpful in the summer-time when you are on a trip and decisions about where to go out to eat can be made by the wheel! Below is a 15 second GIF and then a 1 minute 38 second video tutorial I created.